The ServersCheck sensors connect to the base unit (BASE-WIRED). The base unit is a standalone device that has its own IP address in your network. 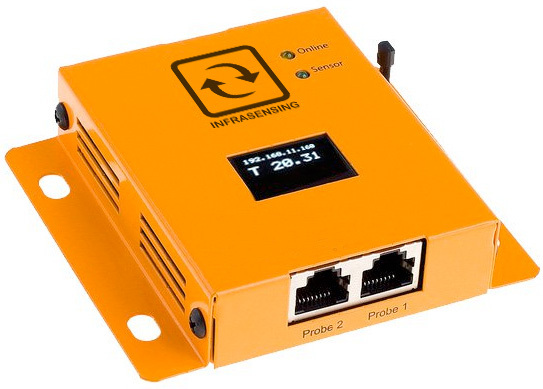 On its own it will monitor the sensor and trigger alerts via email, SNMP or optional SMS when needed. There is no software or PC required for the sensors to run. 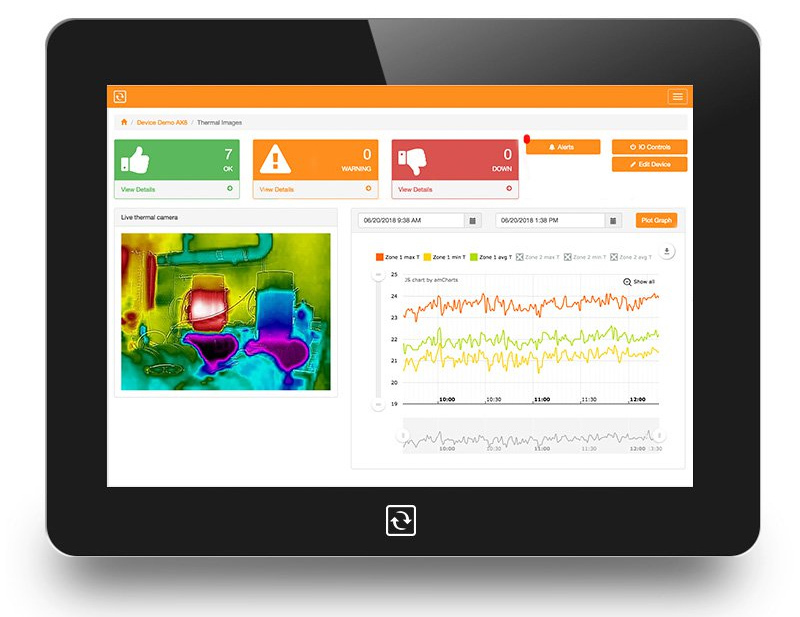 With our optional Monitoring Software you can centrally monitor sensors with trending and more. This is optional and not required.